Happiness, change and self-love are inside jobs. My insides have brightly colored birds singing in funky trees which makes me very happy. External forces can make happiness grow, but deep down I know the root of happy is in my own control. 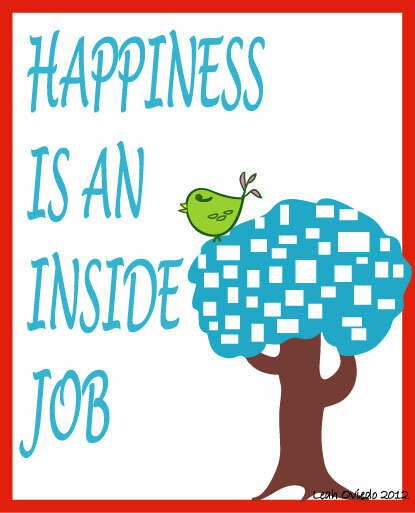 What does your happiness manifest on the inside? You can create an inner vision board to express your happiness. Is it a stroll on the beach, your favorite comedian making you laugh, or maybe it’s all those moments you felt like you were on top of the world? Make that vision your go-to spot when you’ve fallen down and are struggling to get back up. There will always be moments of disappointment, anger and grief where feeling happy is out of reach, but I can tell you from my own depression and losses that happiness really is an inside job. 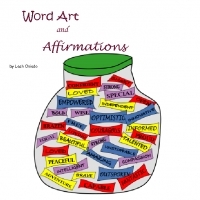 Buy this card at my Zazzle Gift Shop. The key to happiness is to be truly content with ourselves. There will always be people trying to pull you down. Love the post. Yes and our own thoughts too. I say just love yourself and follow your passions while honing your own unique strengths and abilities. That is how I found happiness inside.